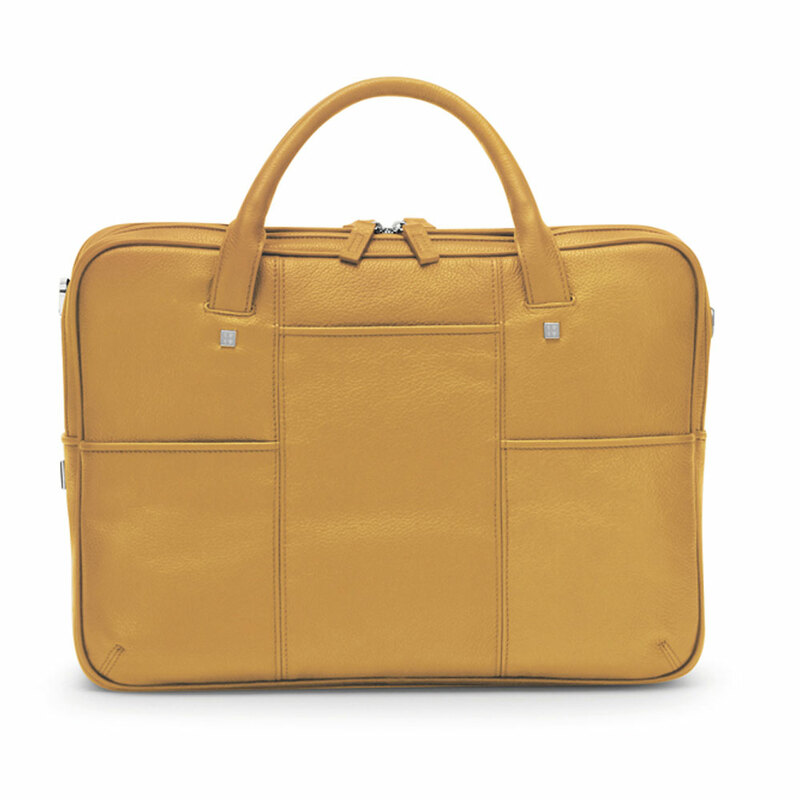 Fedon 1919 British BT-FILE-2-ZIP Leather Laptop Bag in luxurious Yellow milled grain calfskin. Laptop holder handmade in yellow luxury leather with a document bag design features two soft handles, open front pockets, rear pocket and add-a-bag trolley sleeve for travel. 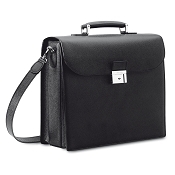 Double-compartments with zip closure. 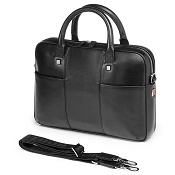 Well designed functional internal compartments and adjustable shoulder strap with leather ends. 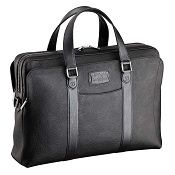 Excellent notebook computer bag for pc or MacBook. 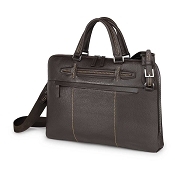 Elegant, smooth, and eye-catching, this luxury laptop bag fuses British inspiration with Italian design to realize a top quality leather laptop bag for work and travel.